She was born in Rockingham County February 14, 1927 to William Chester and Nina Jackson Whicker. She graduated from Reidsville High School and was a member of New Heights Baptist Church. She had previously been very active in church functions doing anything that she was asked to do. Funeral services will be Wednesday 2 p.m. July 16, 2014 at New Heights Baptist Church, conducted by Dr. Harold Venable and Pastor Jimmy Reaves. Interment will be at Reidlawn Cemetery. Survivors are husband Earl Harrelson of the home, special nephew Ron Perkins and several other nieces and nephews. She was predeceased by her parents, a sister Gwendolyn “Blondie” Perkins and a nephew Charles Perkins. The family will receive friends Wednesday at the church one hour prior to the service. Ron, I am truly sorry for your loss. My prayers are with you and the rest of your family. Preacher Earl and Family: So sorry for the loss of "Miss Robena" from this earth; however, heaven is sweeter since her arrival. She was a special lady; and, we thought so much of her. She was always so helpful when our two sets of twins came along within a month, by coming over and rocking them, changing them and feeding them many times over. We share some precious memories of her. Our thoughts and prayers are with you. Preacher Harrelson and family....so sorry to hear of Mrs Robena's passing she was a precious soul. We love you and will have you in our prayers. God bless you and keep you with love your friends from Woodlawn. So heartbroken to hear this news. My deepest most heartfelt condolences Mr. Harrelson and all the rest of their family and friends. Every time I was blessed to run into or see Mr. and Mrs. Harrelson it was always such a pleasure. Will always remember my chats with her, her laughter, smile, encouraging words and love that poured out over everything from her heart. She will live on throughout every one that knew and loved her. You are all in my thoughts and prayers for strength healing and comfort as days go forward. You are forever in our thoughts and prayers. It was because of your persistent conversations and invitations to church that lead to me accepting Christ as a teenager. You are always on my mind and my thoughts and prayers are certainly offered to you at this sad time in your life. Please know that we are here if there is anything that my wife and I can do. May God always bless you for all that you have done for His ministry and helping lead so many to accept Christ. Today, your wife is playing that piano (like noone else could do); only today she is playing it live for the King of Kings! With deepest sympathy. Preacher Earl I truly loved Robena. 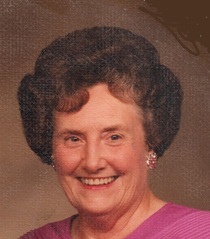 She was very instrumental in my receiving The Lord as my Savior. I grew up under your ministry until the age of 18. Robena took me to Camp Merriwood when I was 9 years old and I fell in love with that special place where I met my future husband. She also encouraged my music and singing and I still sing today in church. My first trip to Washington, DC was with her and Gwen. She loved to go places and I always had a great time traveling with her. God truly has a plan for our lives and was a huge part of my young years. May The Lord give you peace and comfort at this time of loss.